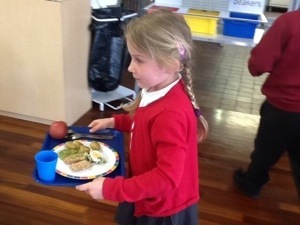 Class 1 are growing more independent and have learned to make a sandwich without an adult’s help. This week we made ham sandwiches and eat them as part of our snack. Which is your favourite sandwich filling? 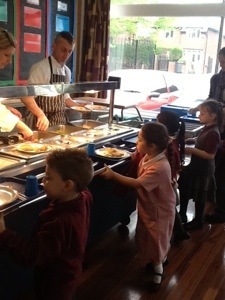 Tagged Cooking Independently, healthy eating, Making Sandwiches, Wombridge Primary. As part of our learning about patterns we made fruit kebabs using bananas and sultanas. They were fun to make and delicious to eat? Can you think of any other fruit we could put on a fruit kebab and make a pattern. Tagged Fruit Kebabs, healthy eating, Patterns, Wombridge Primary. 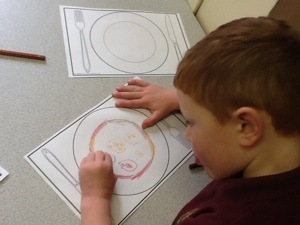 As part of today’s Farming Friday session, and helping us towards our bronze level cooking award, we made ‘eat well plates’. We used collage materials to create different healthy foods. Can you name 10 healthy foods? 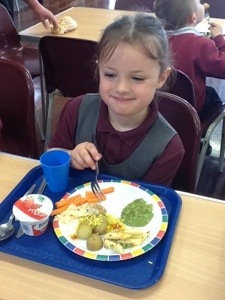 Tagged Collage, Cooking Award, Eat Well Plates, healthy eating, Wombridge Primary. 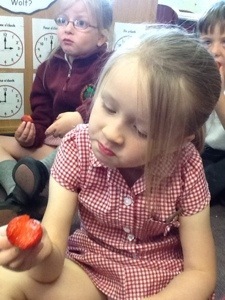 We were very lucky to have delicious British strawberries for our fruit snack today. 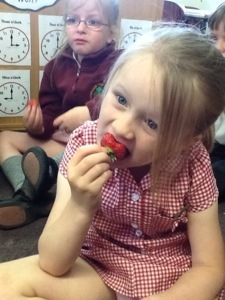 We can’t wait for our own strawberries to be ready now! We planned some healthy meals and thought about which foods should only be treats. 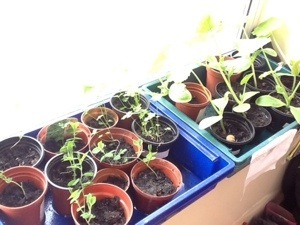 We are growing lots of healthy vegetables. 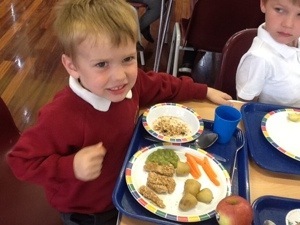 All week we have been enjoying Chef Craig’s delicious meals for lunch. We are a big fan of the fresh salads.